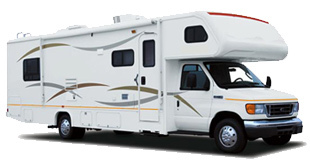 We offer brand new replacement mattresses that will fit any recreational vehicle, or motor home, and any budget. Click shop to see prices on our full lineup available for quick delivery. The most common 60"x74" short queen sizes are in stock and ship daily. All mattresses are proudly made in the USA. All of our mattresses are made of the same high quality materials and technologies that are used to construct home mattresses. The unique VertiCoil® innerspring design offers more stability and durability than any other spring on the market. Thick pillow topping is available to make your mattress both firm and plush. All mattresses are proudly made in the USA from brand new, never refurbished, top quality materials. You never have to worry about old used parts affecting durability and all mattresses include a full warranty. Free delivery to Zone 1, in the eastern half of the USA. The fee for Zone 2 and 3 is small, or you may also be able to pick up your mattress directly from the local factory for reduced pricing. See the shipping page for more details.